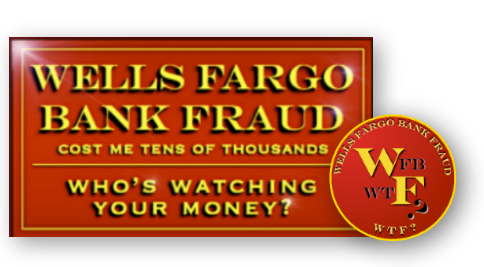 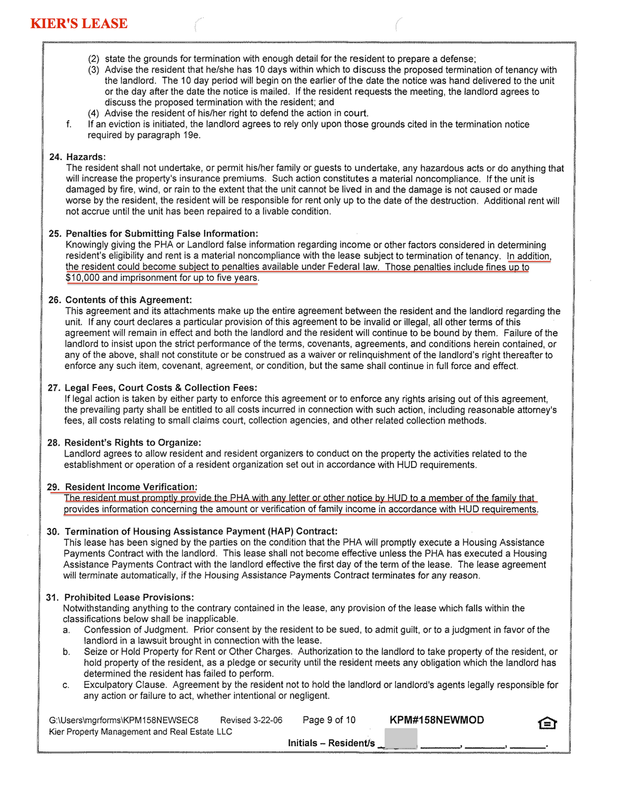 Because Kier Management did such an enormous amount of business with the Ogden Housing Authority each and every month, I thought surely the lease they were using for my property would have been approved by Housing Authority... 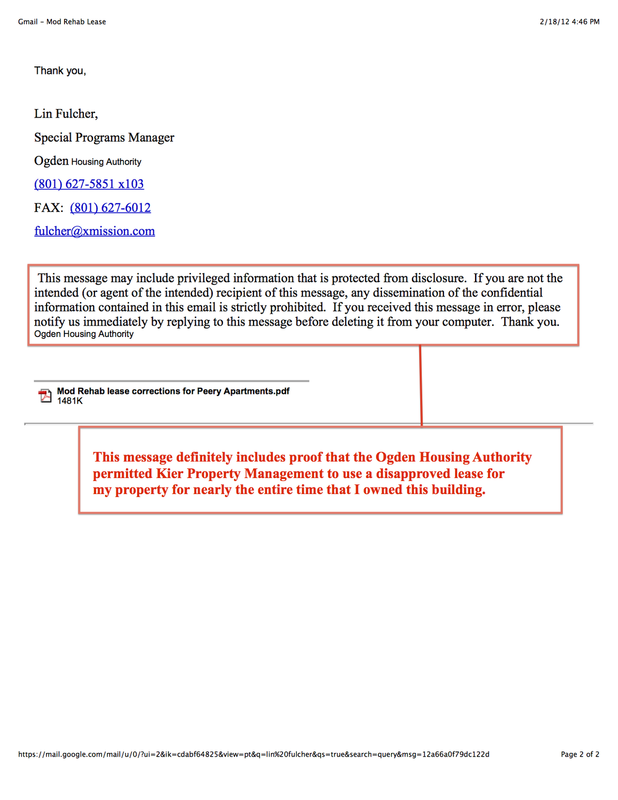 So I continued to use it when I took over the management of the building. 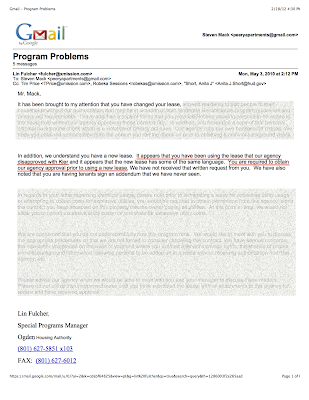 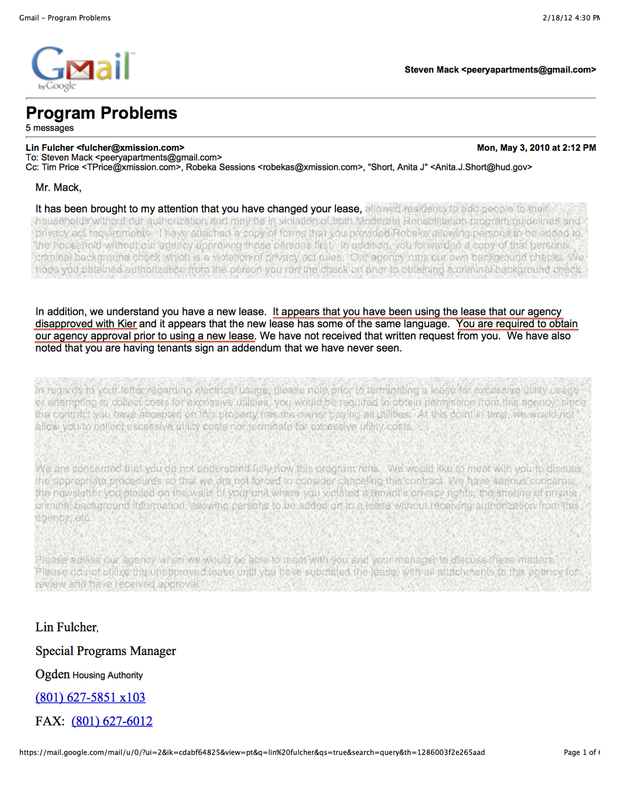 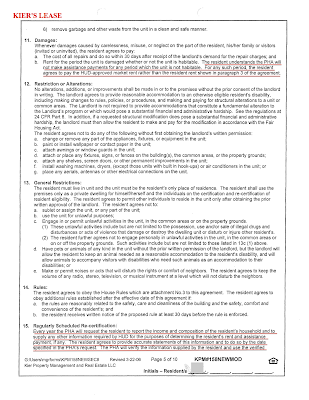 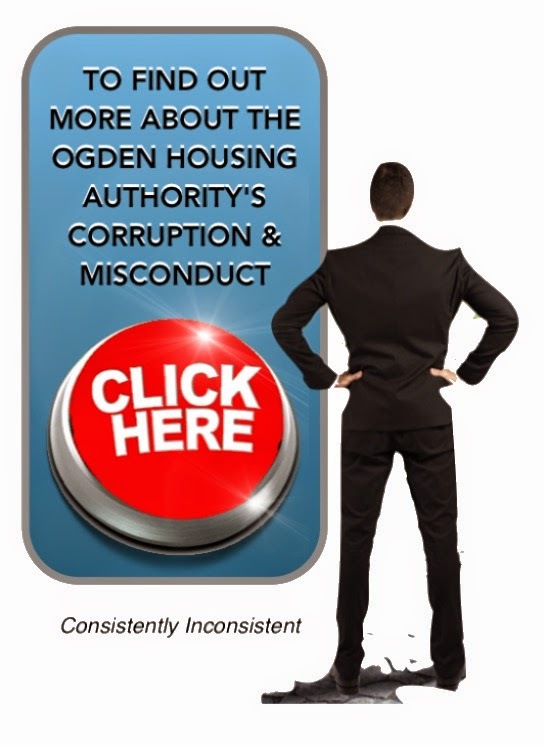 Concerned, I immediately responded to the email by sending a copy of my lease, and asking that the Ogden Housing Authority point out the disapproved sections of the lease, so that I could make the necessary changes and remove the disapproved content. 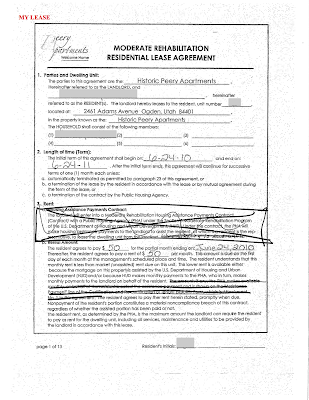 Below is a side by side comparison of Kier's lease and my lease. 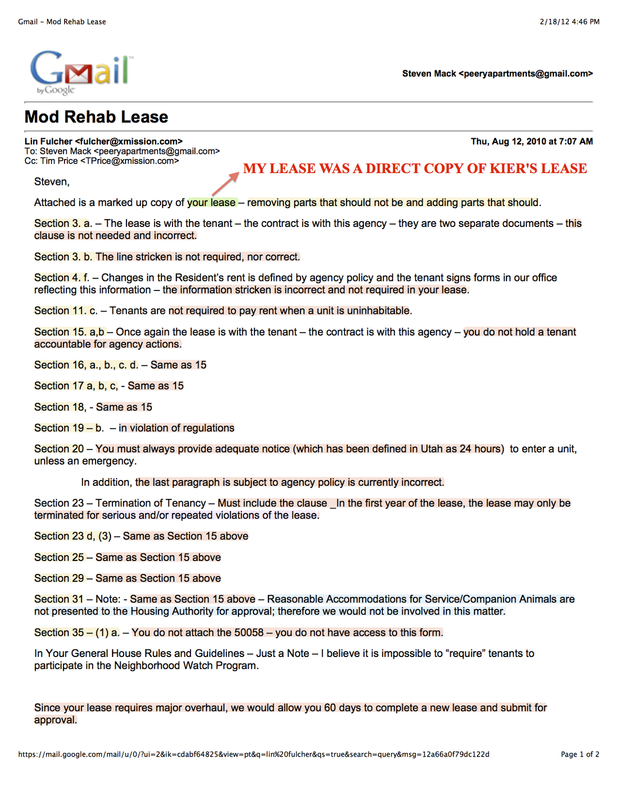 The verbiage is virtually identical in both leases, yet the Ogden Housing Authority allowed Kier to use their lease for nearly 4-years, without question. 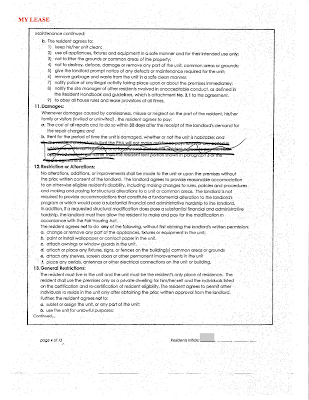 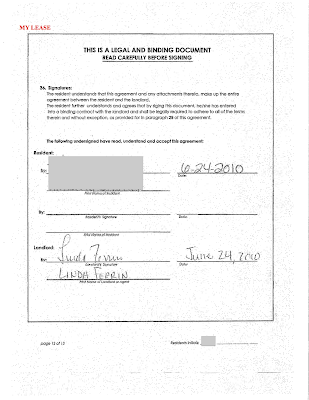 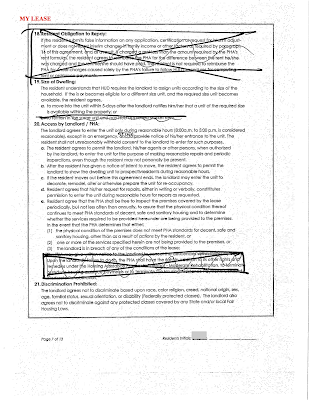 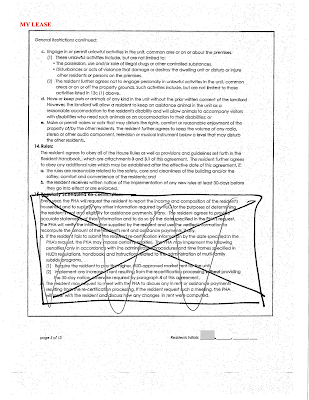 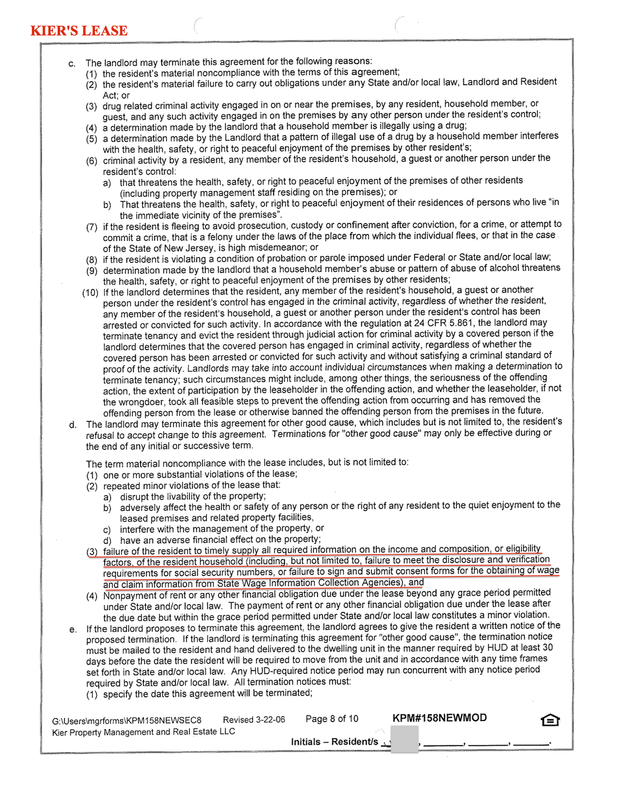 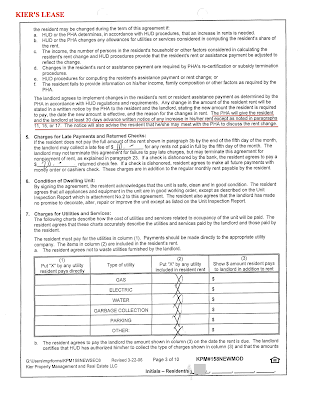 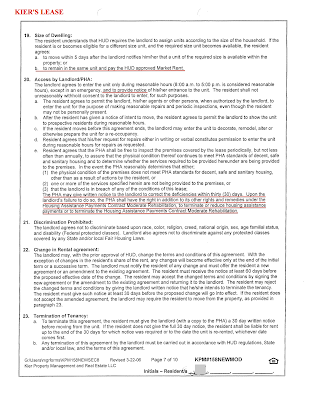 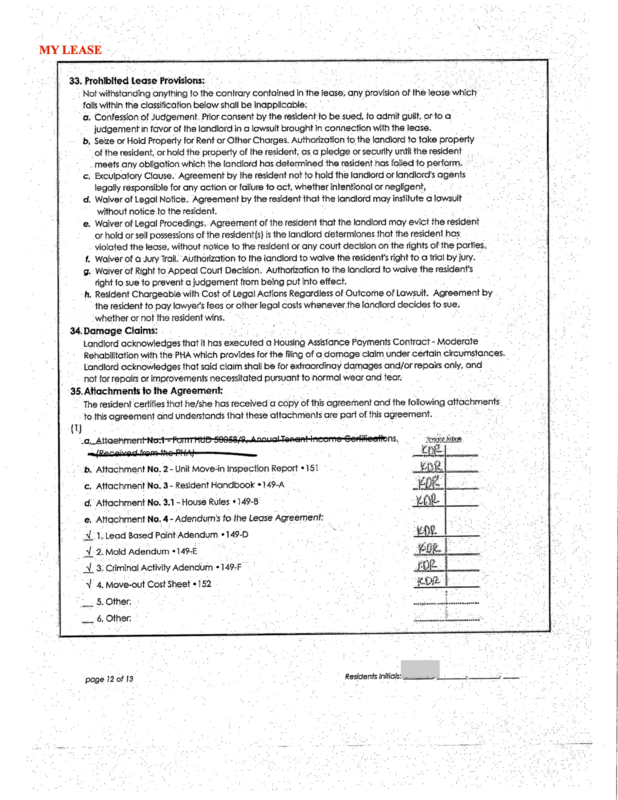 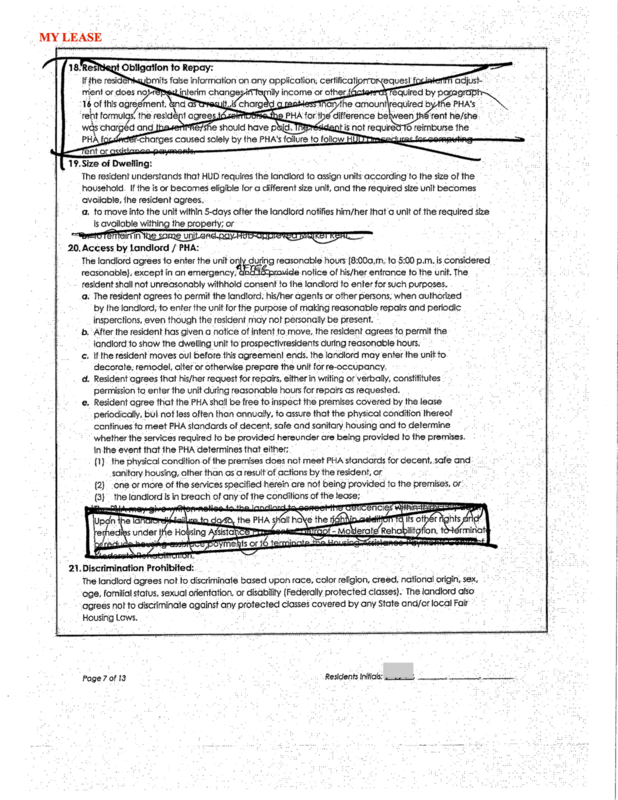 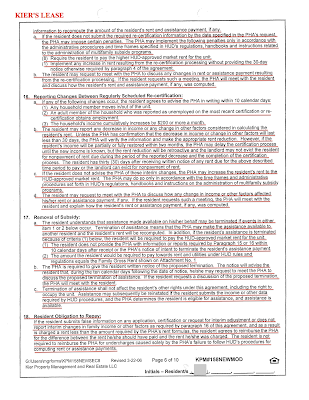 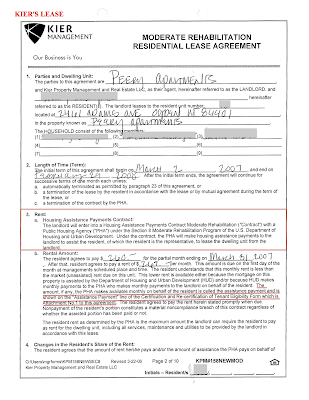 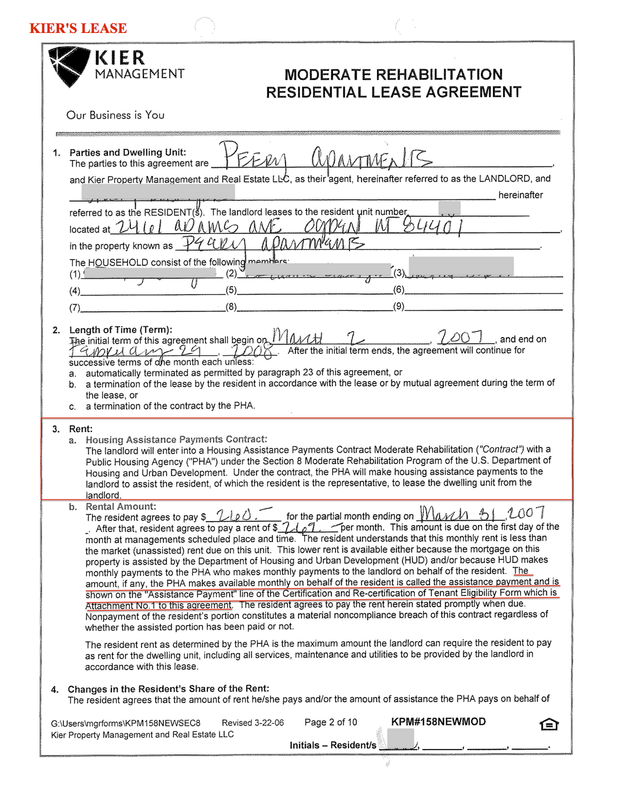 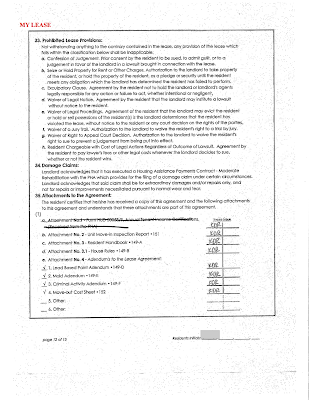 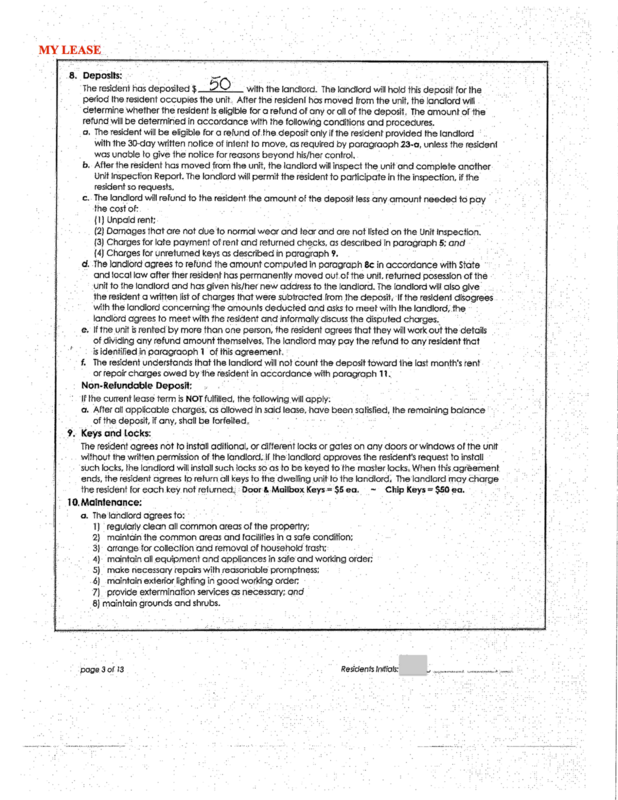 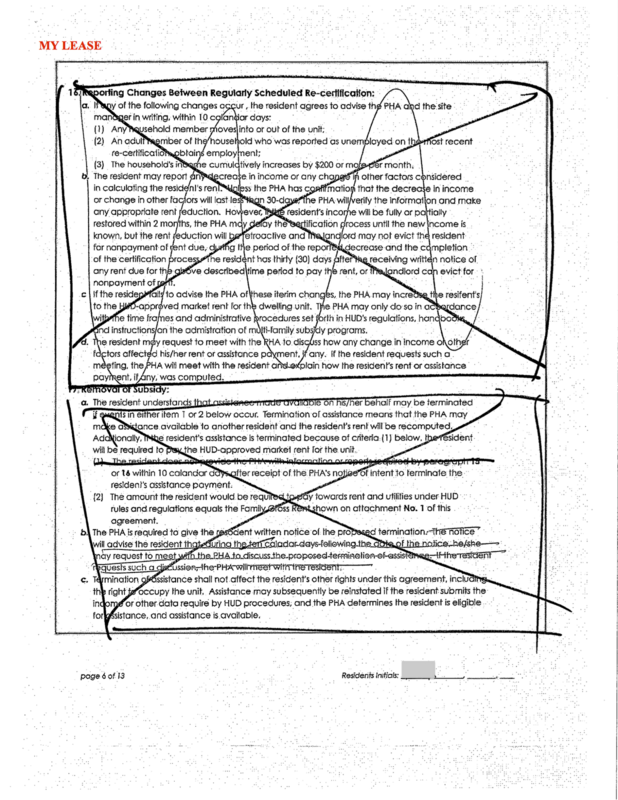 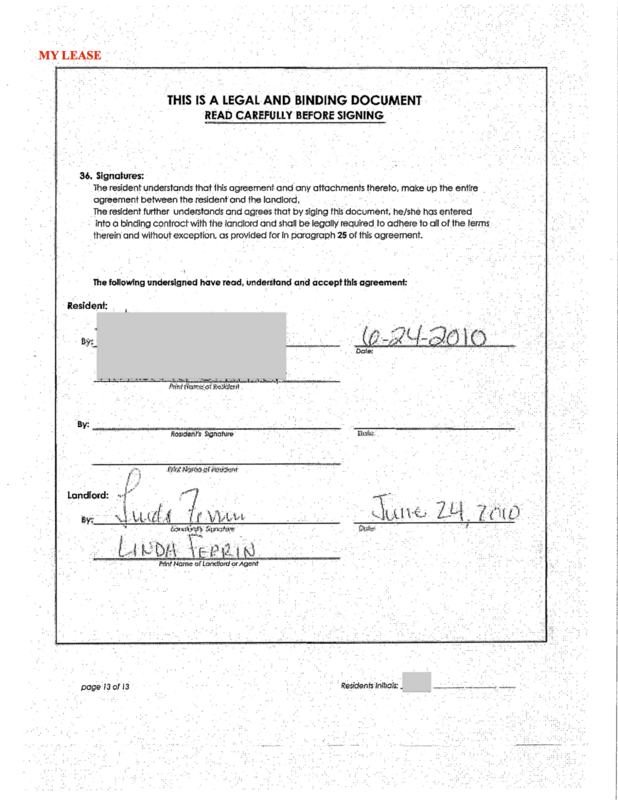 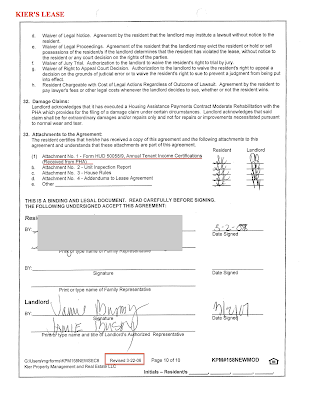 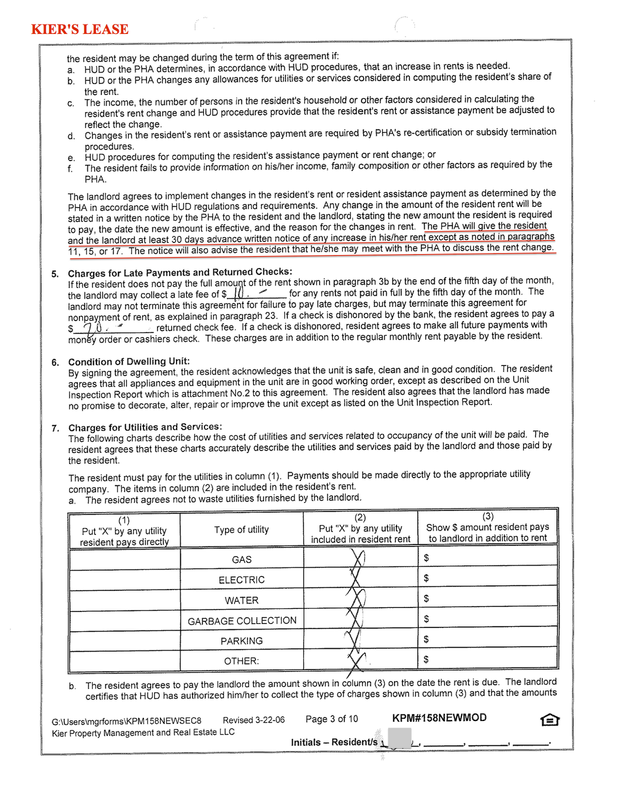 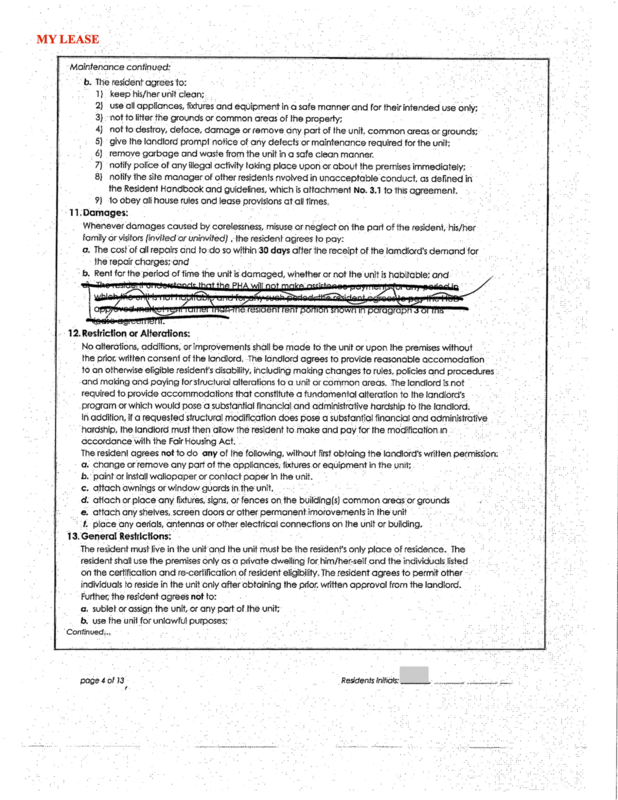 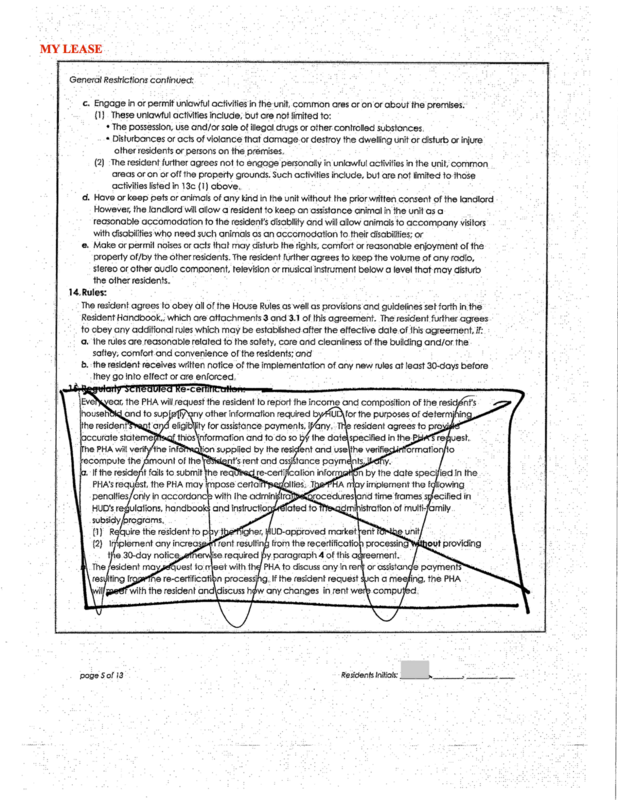 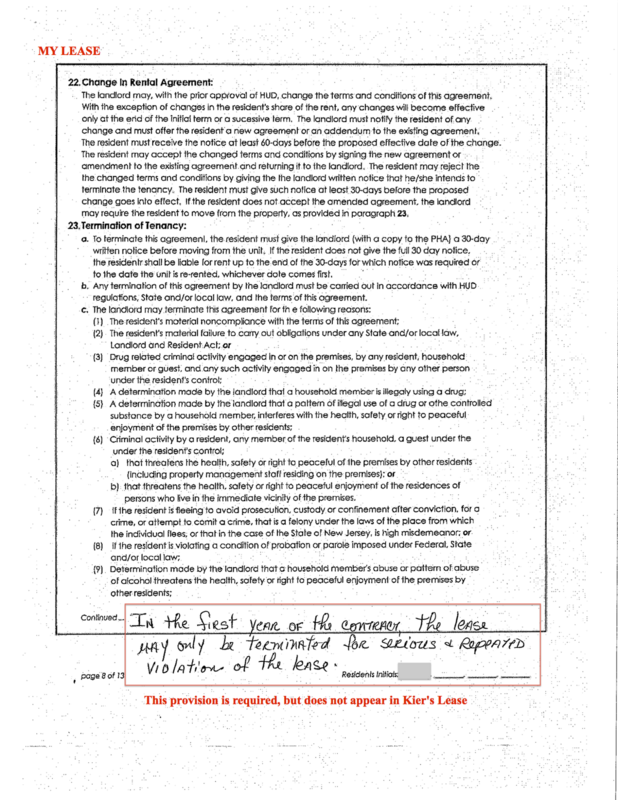 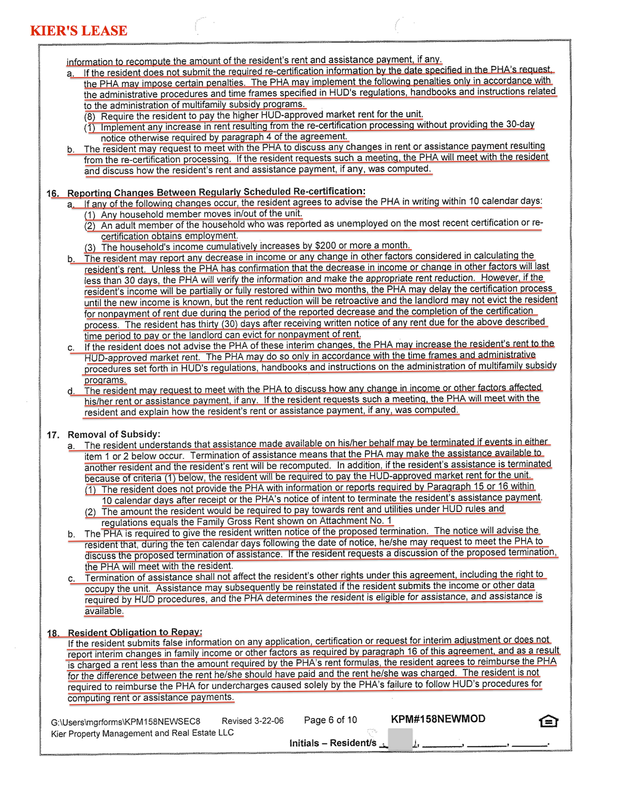 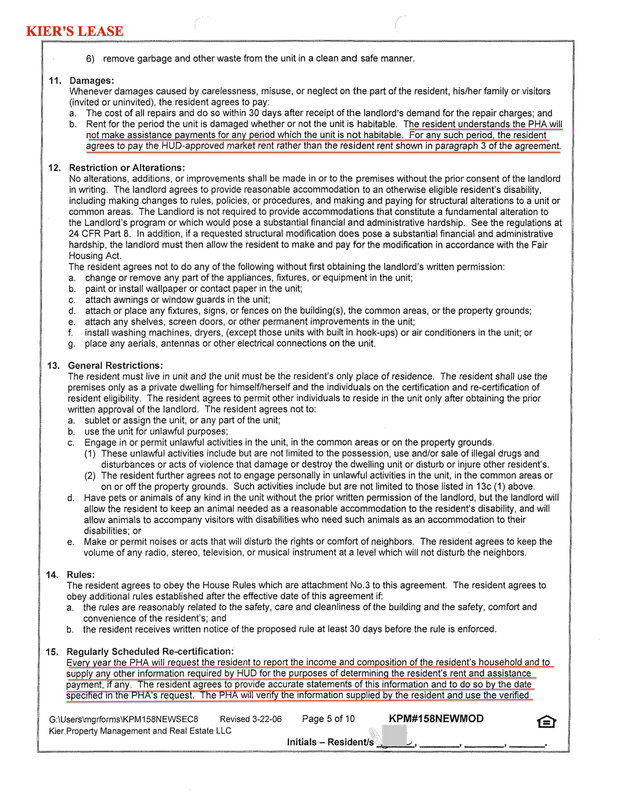 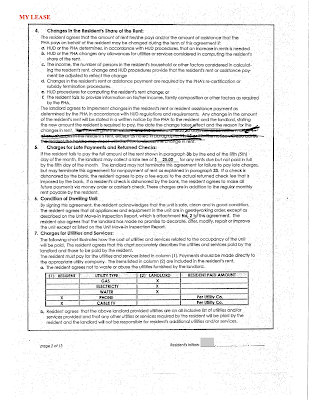 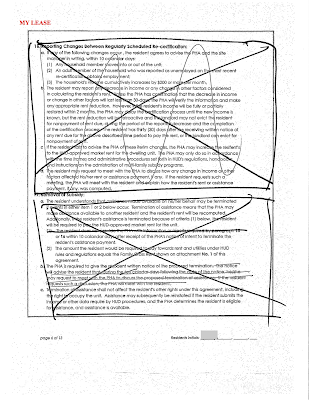 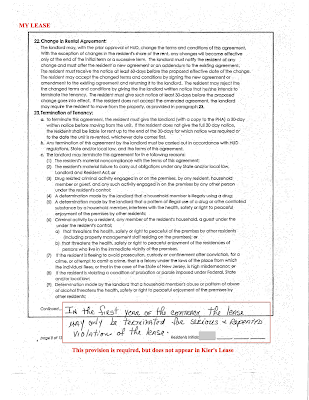 As you can see, a substantial part of the lease that Kier used for my property between March 2006 and November 2009, was disapproved by the Ogden Housing Authority, yet they failed to require Kier to amend their lease. 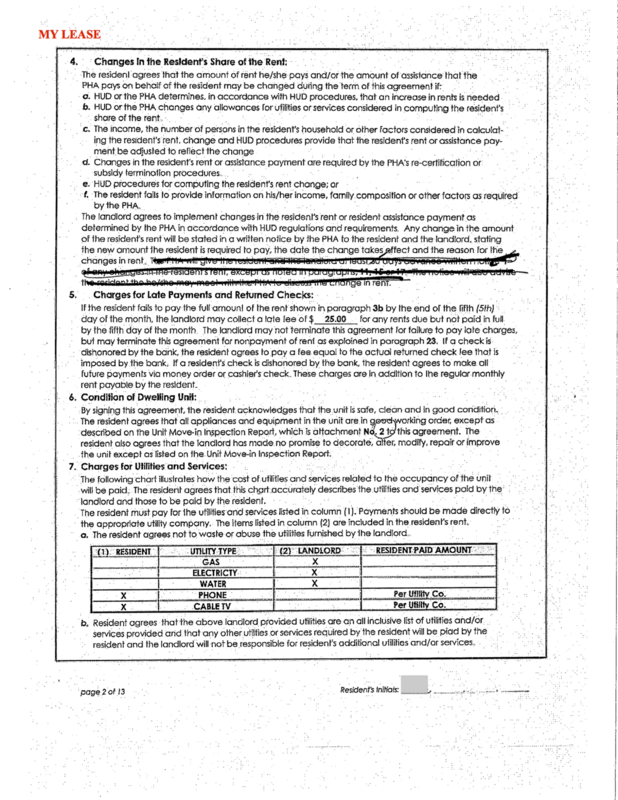 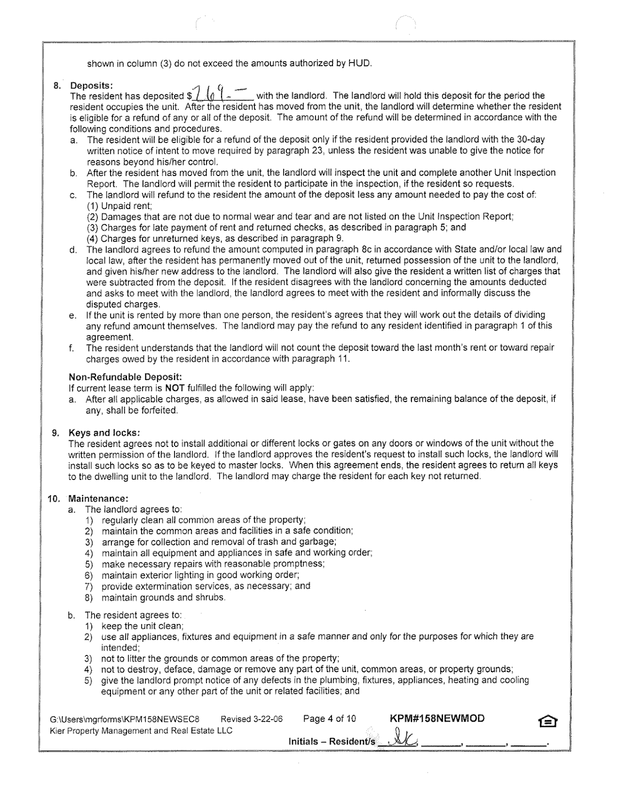 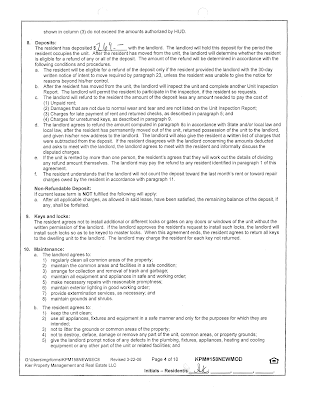 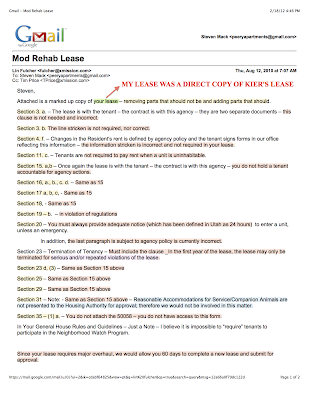 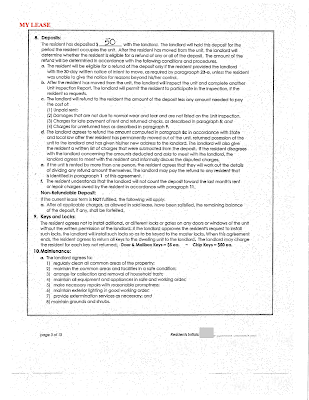 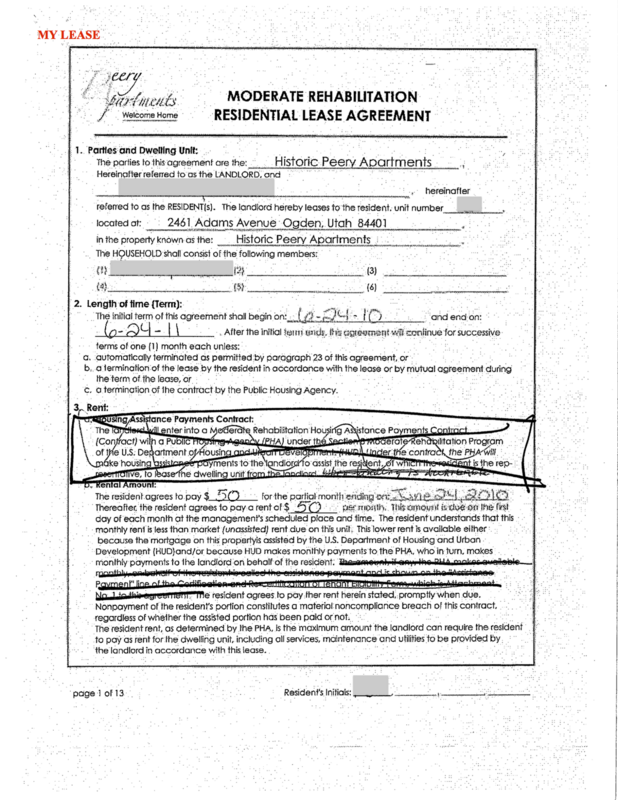 Below is HUD Form 52517-D, Moderate Rehabilitation Lease Addendum. 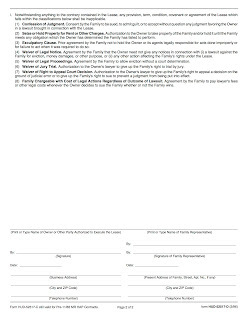 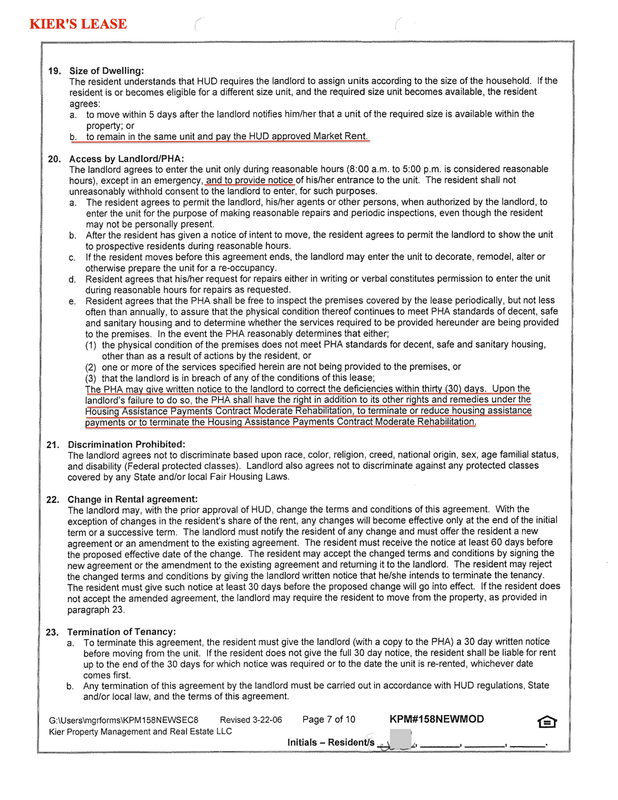 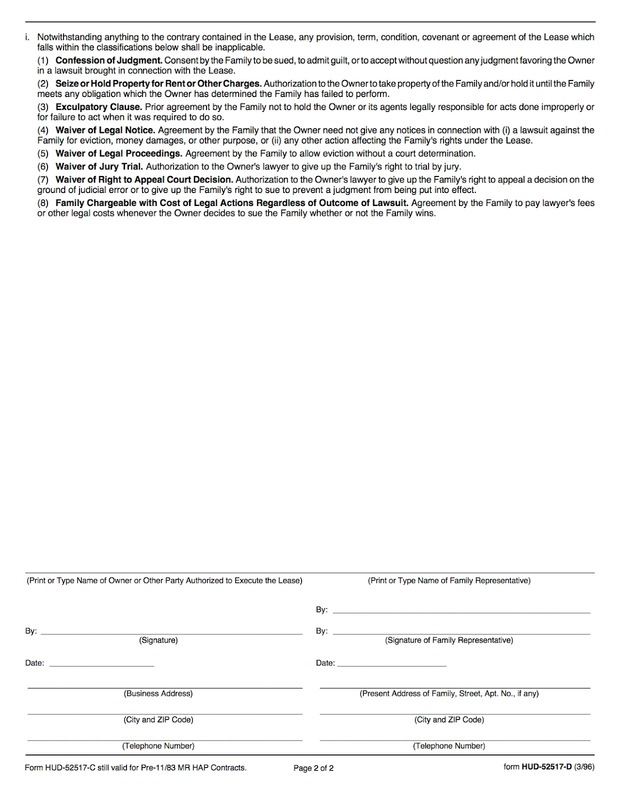 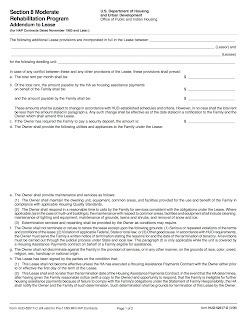 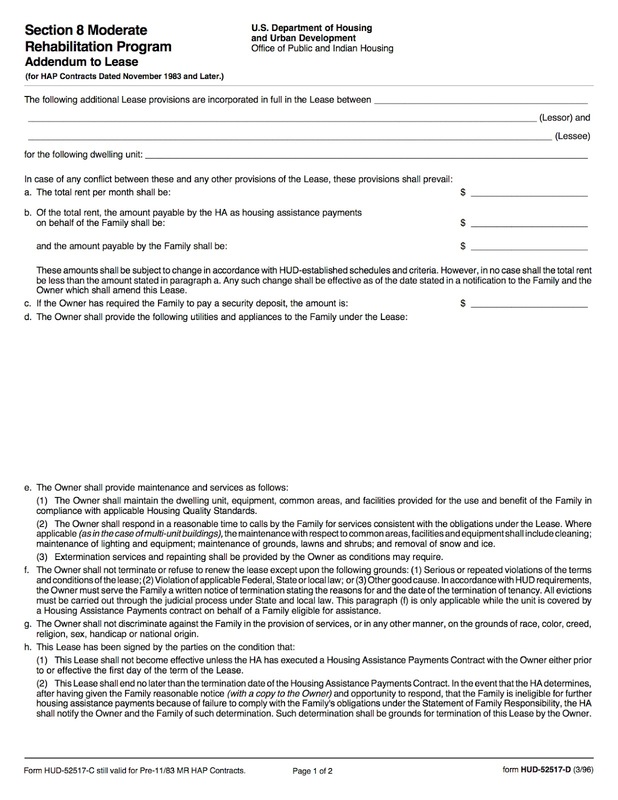 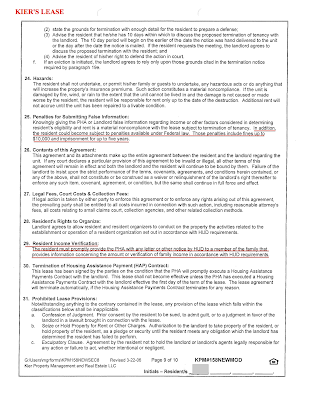 According to HUD rules, ALL residents under the Mod-Rehab Program are required to sign this form, which becomes part of the tenant's lease. 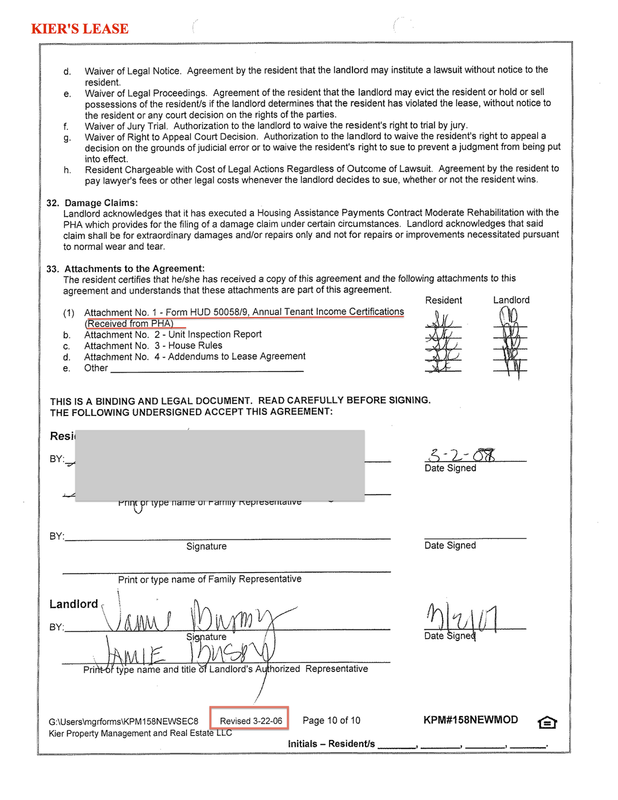 The last time that Kier had one of my tenants sign this required HUD addendum, was in 1993. 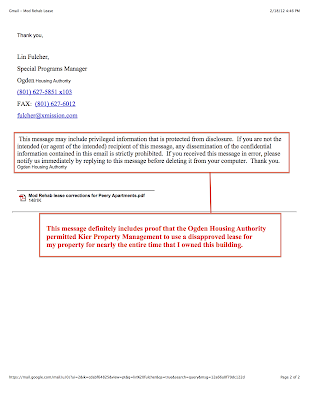 The Ogden Housing Authority demanded that I include this addendum as part of my lease, yet they permitted Kier to slide on it for the entire time they managed my building.